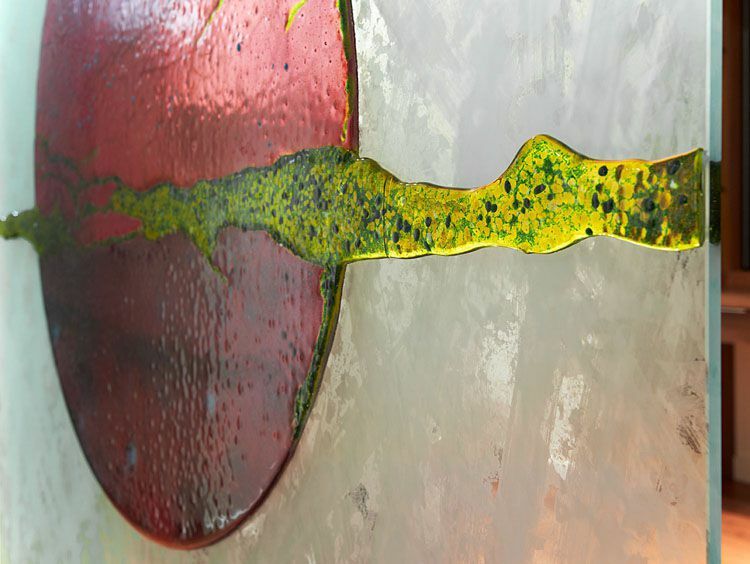 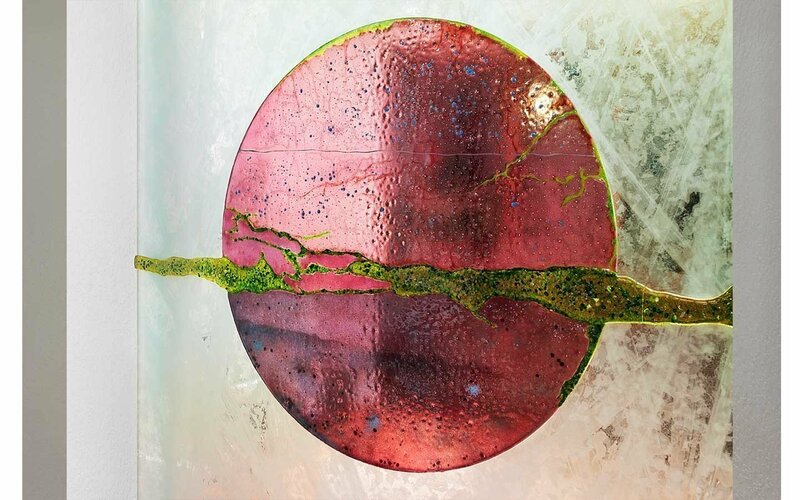 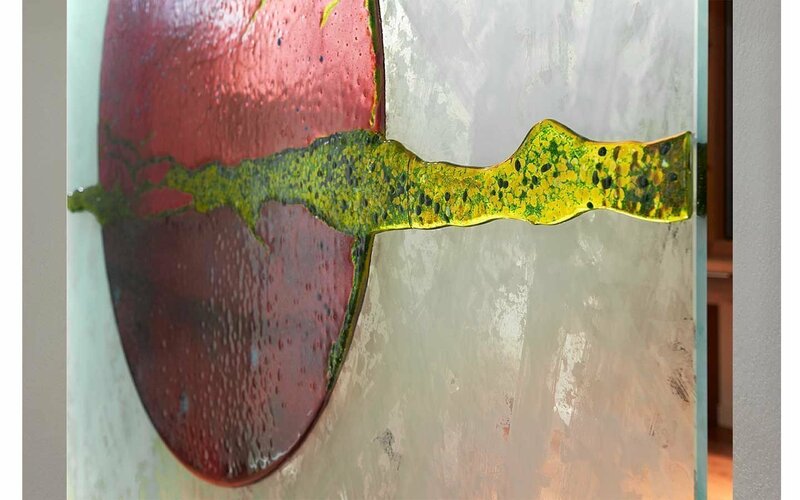 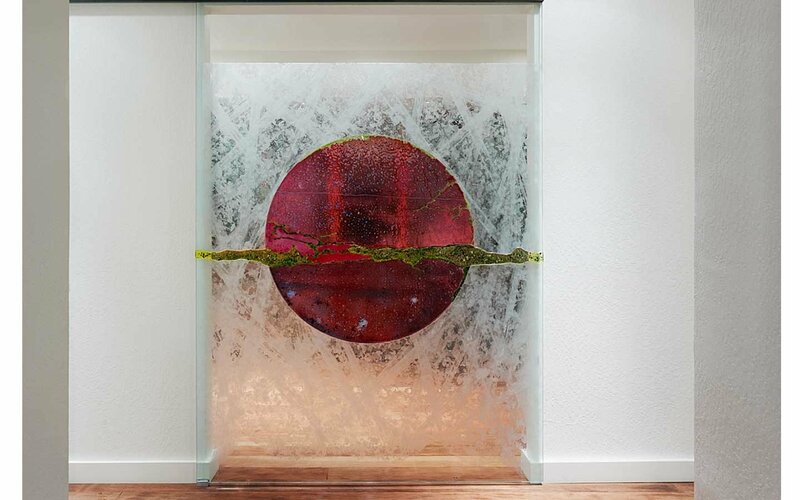 With the desire to integrate art glasswork into their newly remodeled home, it came natural to this family, who are patrons and friends of Gordon Huether Studio, to commission this art piece with Gordon. 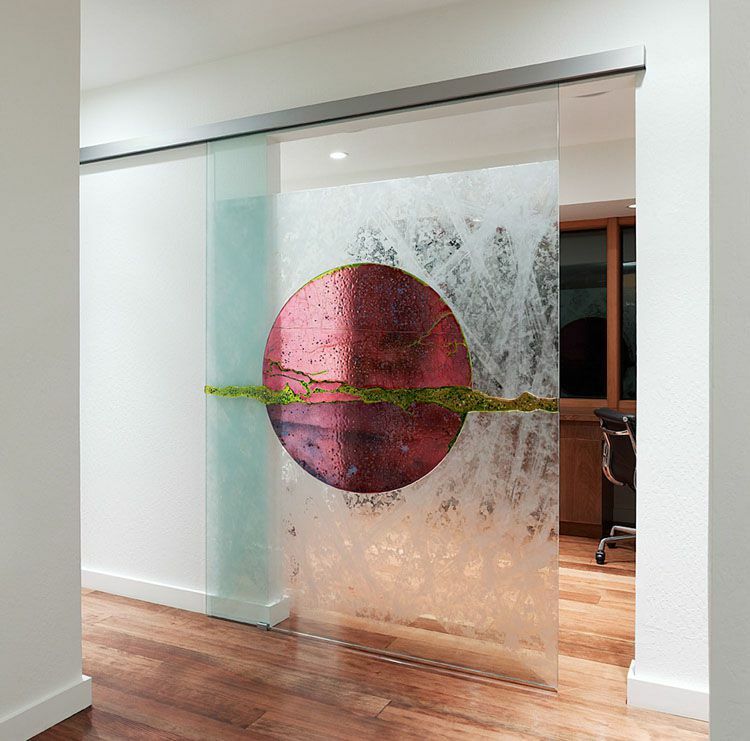 The open entrance to the office, adjacent to the hallway and facing the dining room, was the perfect location for this seemingly floating glass door. 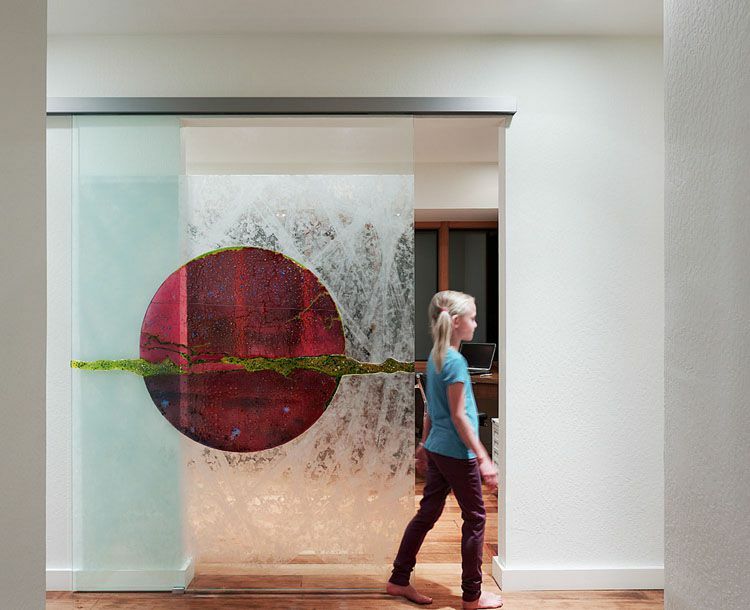 After working on four different concepts the family chose their favorite. 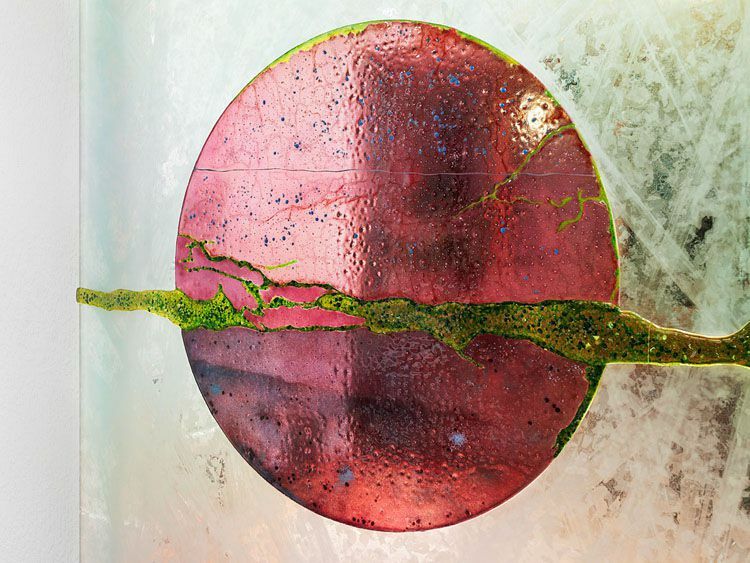 This collage was then transcribed onto the sliding door, using fused glass and acid etching. 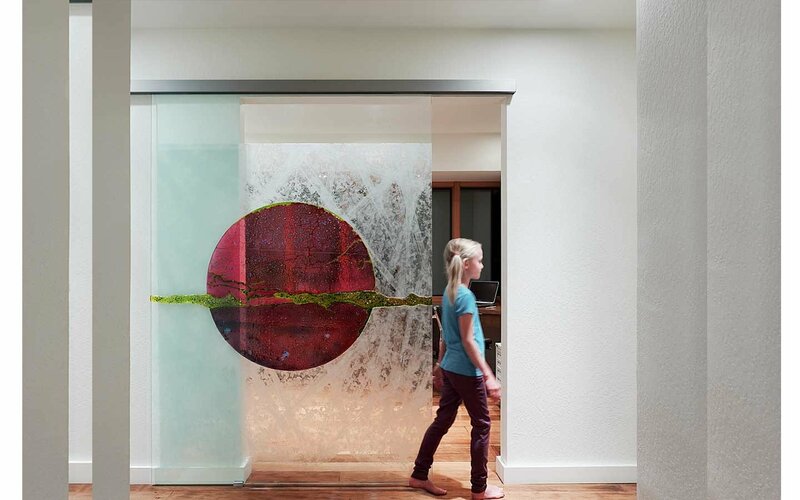 Light seeping through the windows on the opposing wall of this doorway underline the colors and effect of this frameless art glass sliding door. 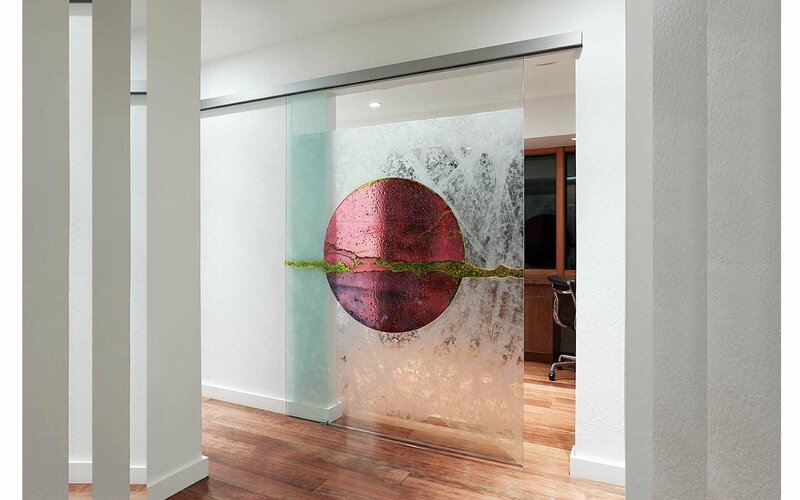 It serves both, as a privacy screen and focal point to the dining room, as the door itself becomes the perfect fusion of elegant interior design aesthetic and functionality.